The Plantronics acquisition isn’t without risk, but gets a thumbs-up for its benefits for all parties involved. 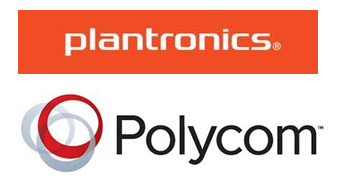 Early on March 28, the world learned that Plantronics (NYSE: PLT) and Polycom had entered into a definitive agreement under which Plantronics (the smaller of the two companies with annual revenue of ~ US $880 million) will acquire privately-held Polycom (annual revenue ~ US $1.1 billion) in a mixed cash/stock transaction valued at US $2 billion. The deal has already been approved by the boards of directors of both companies, and subject to regulatory approvals is expected to close by the end of Q3 2018. After closing, Siris' managing partner Frank Baker and Siris' executive partner Daniel Moloney will join Plantronics Board of Directors. For those of you needing a refresher, in September 2016, then publicly-held Polycom was acquired by private equity firm Siris Capital Group, for ~ US $2 billion. What's happened since then? It turns out, quite a lot. Prior to the September 2016 acquisition, then Polycom CEO Peter Leav had already cut operating expenses significantly to shore up the books and position the company to be acquired. Current Polycom CEO Mary McDowell (ex-executive partner at Siris Capital, and ex-EVP at Nokia, also a board member of UBM, No Jitter's corporate parent--ed.) has continued along these same lines, cutting cost wherever possible. But more importantly, McDowell and her mostly new management team, have re-directed the company's efforts and investments around a new corporate mission -- stated simply and in my words ... to become the premier audio, video, and content sharing solution provider for the enterprise. Basically, Siris saw that Polycom's IP phone business was growing nicely, was highly profitable, and was relatively low stress compared to its video and collaboration business. So, a new strategy was born -- make Polycom's video business look like its IP phone business. The company also entered into partnerships with BlueJeans, Zoom, and others in the hope of selling Polycom video devices into those providers' service customer base. While I appreciate the relative simplicity of the company's IP phone business, from day one I was skeptical of the company's plan to make its video/collaboration division even more device-centric. My main hang-up was that in the video conferencing arena, today's customers prioritize workflow over device performance. And in my view, Polycom's device-centric mentality meant giving up control of the overall workflow, and to a point its own destiny. Turns out I was both right and wrong. On the "I was right" side, while Polycom's phone business continued to thrive under Siris, its video and collaboration business has had a rougher time -- due in part to market transitions, and in part to Polycom's chosen device-centric path. On the "I was wrong" side, this device-first approach made the company an ideal acquisition target for Plantronics -- one of only two companies in our space that I believe not only excels at making hardware but is proud of the fact that they make hardware. 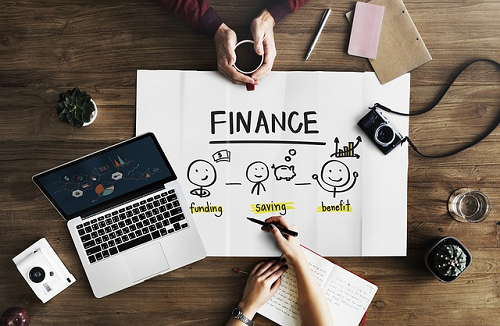 While others are struggling to squeeze services and recurring revenue into their financials, Plantronics continues to do what it does well. For what it's worth, the other company that excels in this area is Logitech. What felt wrong in terms of Polycom's long-term value -- de-emphasizing workflow in favor of a device focus -- was arguably the right thing to do to achieve Siris' medium-term goal -- sell Polycom off quickly for a tidy profit. So, what's great about this deal? By my reckoning (remember I am not an investment banker, so please check my math), Siris is likely to walk away with a tidy profit from this transaction. When acquired by Siris, Polycom had more cash and marketable securities on its books than debt and other obligations. According to the Plantronics press release on this transaction, Polycom generated operating income of ~ $180 million in CY2017. So while we don't have insight into the nickels and dimes, we expect that Siris did quite well in this deal. So Plantronics expands its device footprint in the enterprise, putting it in a better position to compete against the likes of Logitech and Cisco. Becoming a part of Plantronics provides Polycom with something it has sorely needed for quite some time ... a stable home. And one that understands and appreciates devices at that. Polycom has been on a roller-coaster ride of changing owners and CEOs (Miller to Parker to Leav to McDowell) and changing strategies for seven years now. Perhaps Plantronics will usher in a time of peace and stability. In addition, joining headset-giant Plantronics gives Polycom additional exposure to the UC market, as well as access to the Plantronics telephony-centric channel. Overall, I give this deal a thumbs-up for several reasons. Siris makes some money for its time and risk. Plantronics expands its technology and its TAM in both products and services. And Polycom enjoys a shelter from the storm -- with the bonus of finding its way back into the hands of Bob Hagerty (ex-Polycom CEO, and current Plantronics board member and Chairman of the Strategy and M&A committees) and Joe Burton (ex-Polycom EVP and Chief Strategy Officer, and current Plantronics CEO and President). Hopefully this will be a nice homecoming. To be clear -- this deal is not without risk. For example, I have concerns that Plantronics won't give Polycom's video business, which between hardware and services represents at least 50% of Polycom's total revenue, the attention it deserves and needs. In addition, this deal does not address the concerns voiced by some Polycom channel partners and customers who believe Polycom's future success depends on the company owning more -- not less -- of the overall communication experience and workflow. And finally, in my humble opinion, this deal happened at exactly the right time for Siris. Consider this -- just two months ago, Cisco acquired BroadSoft -- a move which is likely to reduce Polycom's long-term open SIP/VoIP phones opportunity. In addition, the hardware video conferencing endpoint market continues to struggle. The net is that Polycom's value would have likely declined over time. If nothing else, we continue to live in interesting times. The author of this article is a founding member of a new analyst firm called Recon Research (RR). This new firm will cover the A/V, conferencing, and UC spaces -- but in a very different way. RR's public debut is just a few weeks away. Go to www.reconres.com now to be notified when this team goes live.